Our doctors perform basic ultrasounds when indicated. 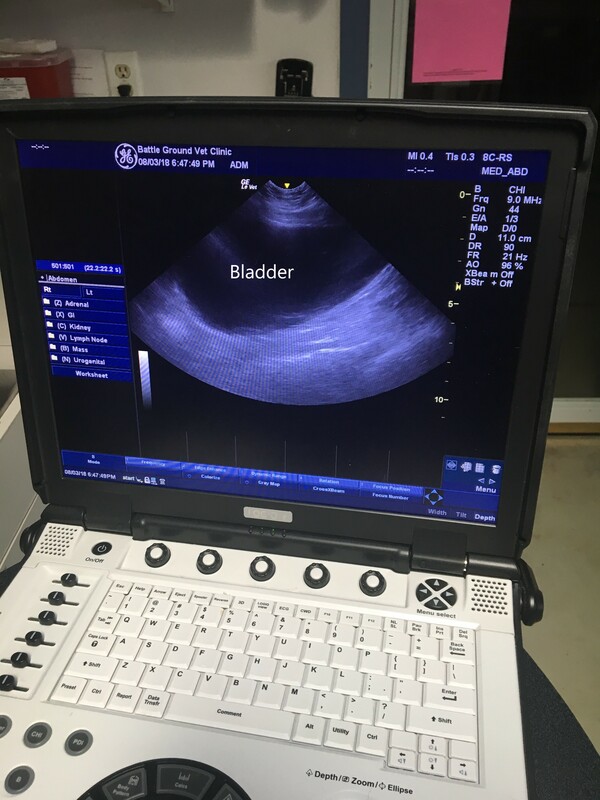 For more in-depth ultrasounds, we work with Dr. Okos of Okos Veterinary Mobile Ultrasound and CH2 Veterinary Imaging Consultants. Read more about why ultrasound is a wonderful imaging modality! Ultrasound is a useful diagnostic tool for our pets. Most people are familiar with ultrasound because it is commonly used during human pregnancies to visualize a baby before birth. This same diagnostic tool can also be used in our pets to detect potential health problems by visualizing the abdominal organs or heart. Ultrasound allows us to look inside the organs and visualize their structure. Ultrasound also allows us to see real time motion such as a beating heart or intestinal contractions. There are several common conditions were ultrasound can be very helpful in obtaining additional information to help rule in or out a diagnosis for your pet. The doctors at Battle Ground Veterinary Clinic perform basic ultrasounds for various reasons. We might be searching for large masses in the abdomen, determining the thickness of bladder walls in urinary tract infection cases, assessing the kidneys for abnormalities, or scanning to determine if there is fluid in the abdomen. We also perform ultrasounds to diagnose and monitor pregnancies! What Do Dr. Okos and CH2 Do? 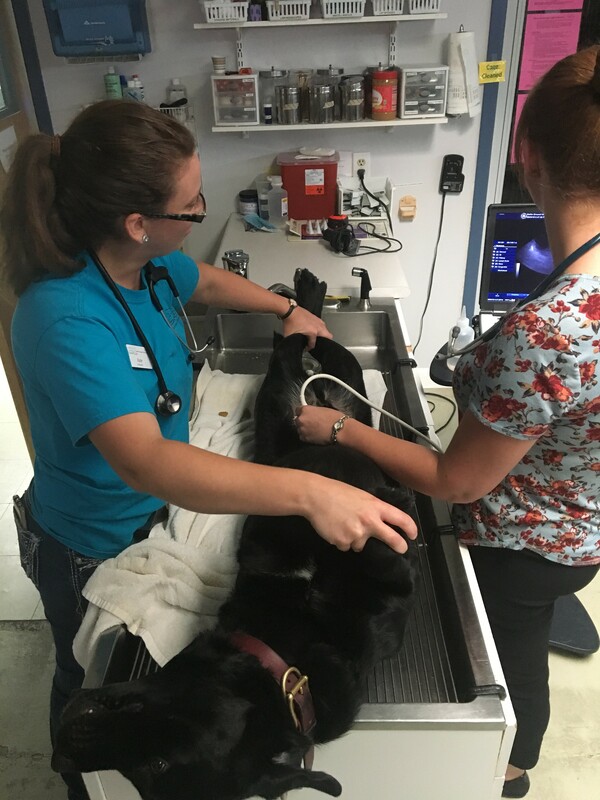 Dr. Okos and CH2 Veterinary Imaging Consultants perform ultrasounds that require more technical skill. They examine each organ for subtle changes and help us to determine what further diagnostics are necessary. Click here for more information on Dr. Okos! 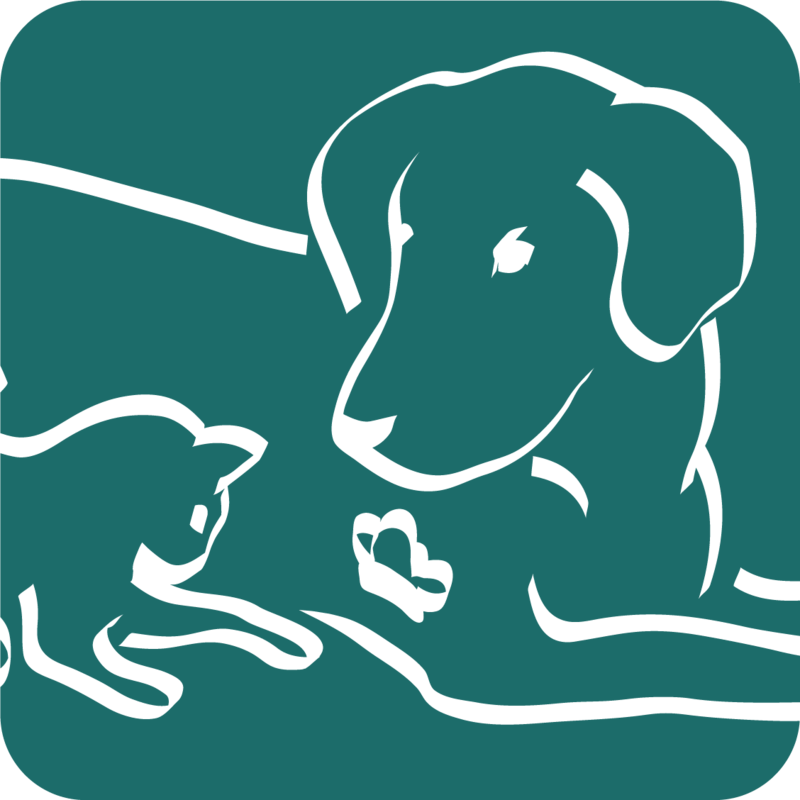 Urinary Tract Infection: Many cats and dogs suffer from reoccurring urinary tract infections (UTIs). An ultrasound exam of the bladder can allow us to detect stones, bladder wall tumors, or sediment that may interfere with the effectiveness of standard UTI treatment. Detecting these conditions early can help ensure proper treatment. For example, if stones are present, they can harbor bacteria while antibiotics are being used. Once treatment is over and the antibiotics are cleared from the system, the bacteria will re-emerge causing a recurrent infection. Chronic Diarrhea: Ultrasound may be able to acquire useful information in cases of chronic diarrhea. Diarrhea can have multiple causes and, therefore, be challenging to treat. With ultrasound, the layers of the intestinal walls can be visualized and the overall thickness can be measured. The intestinal wall consists of multiple layers. It is important to determine if these layers are still present and if they are an appropriate thickness compared to each other. Chronic Weight Loss: Chronic weight loss may occur for multiple reasons. Unfortunately, one of the more serious causes of weight loss is cancer. While blood work can be useful to look for abnormalities in the internal organs, cancer may present with completely normal blood work. Therefore, ultrasound is a useful next step. Ultrasound of the abdomen allows us to look for potential tumors, intestinal abnormalities, free fluid, or other irregularities that may help lead to a diagnosis. Cancer: Cancer has unfortunately become a common health concern in our pets. Ultrasound is helpful to screen for tumors or other abnormalities. If a tumor or abnormality is noted and can be reached with a needle, a sample can be obtained to submit to a pathologist for microscopic review. The resulting information may allow us to reach a specific diagnosis or give us valuable information to help narrow down a list of possible diagnoses. 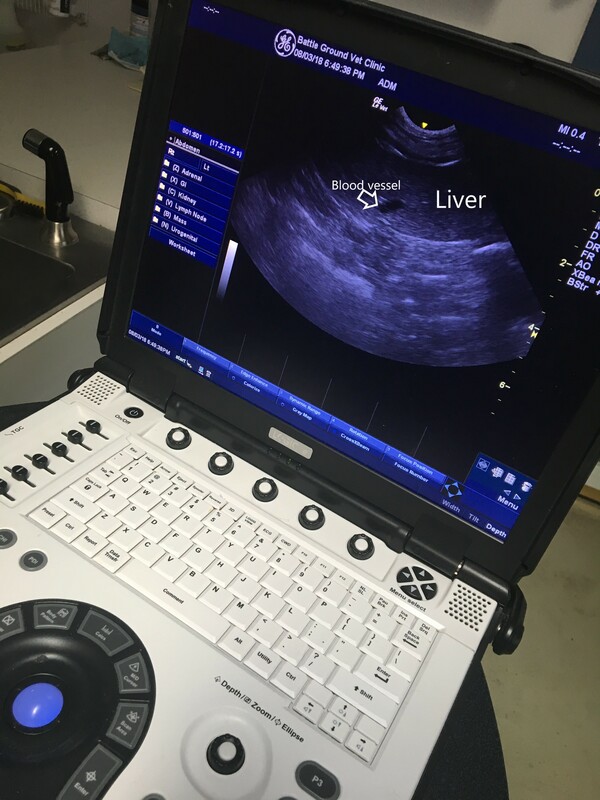 The use of an ultrasound to obtain a sample in this way makes the procedure safer for your pet.